The Stamina X Water Rower is one of the latest releases from the popular company, joining its X Air counterpart, which has been a big seller for the company. With its striking red and black appearance and its unique water tank placement, not to mention its affordable price, this one is sure to please those looking for an outdoor on-water feel. This sleek machine features a steel frame, a molded seat and a nylon rowing strap, along with many added comforts not found on most of the other models. 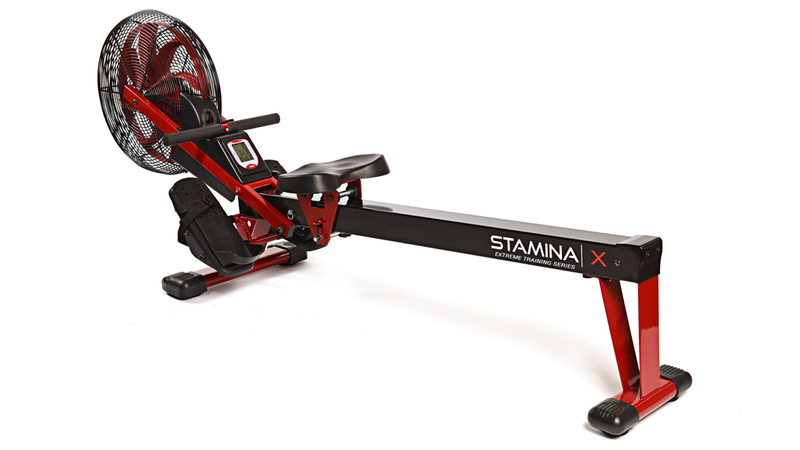 Dimensions: 63" x 20" x 37.5"
The X Series from Stamina has become quite popular, which is likely why the company decided to add a water resistance rower to the mix. This special series is designed for more serious training, in particular HIIT. On top of the X Water Rower you have the AMRAP, Air and Magnetic Rowers, as well as some strength equipment. They all share the same striking red and black design. Whereas most water rowers have the tank in front, the Stamina X Water Rower actually has it right underneath the seat when you're in the fully extended position. It's definitely unique, although we personally like to see the tank in front of us. But it doesn't take away from the workout experience at all. You still get that nice on water feel and the whooshing sound that people love. The motion is surprisingly smooth, and the nylon strap offers a very uniform motion. As with all water rowers, the harder you row the more resistance you'll get and slowing down lowers the resistance. So you can decide how intense your workouts are. Resistance is also based on how much water you put in the tank. Fill to the lowest levels for lighter resistance, and fill it up to the max for the highest resistance level. The display is very basic but gives you everything you need including time, calories, stroke count, distance and heart rate pulse. (You can measure your heart rate using the free included chest strap). The X Water Rower costs around $599 on sale, so it's a bit more expensive than most of the Stamina rowing machines, but still not as expensive as the high end models from companies like Water Rower. 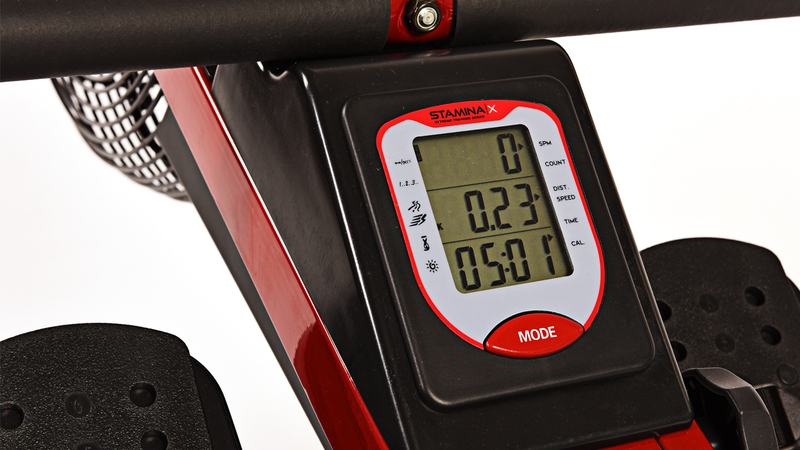 If you love the idea of a water resistance rowing machine but don't want to spend over $1000 for a high end model, the new Stamina X Water Rower is definitely worth considering. 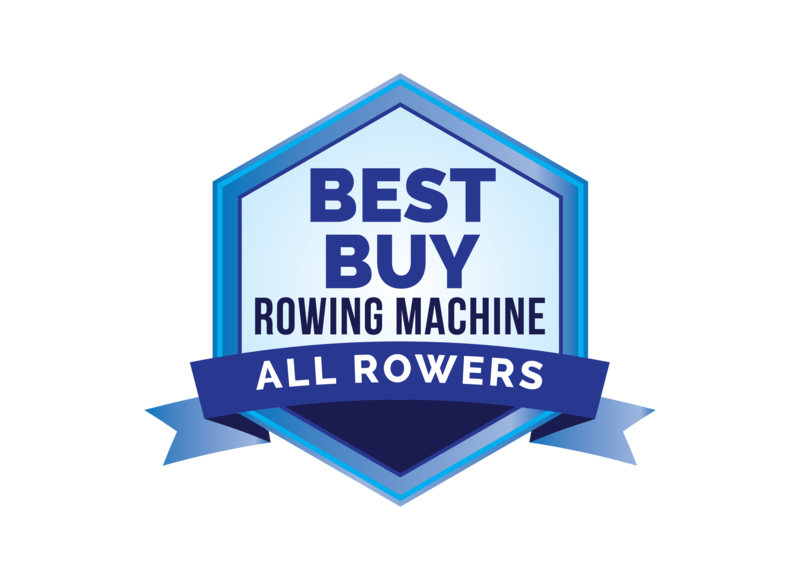 It has more durable construction that many of the other rowers in the lineup, and offers smooth consistent motion that will satisfy even the most demanding athlete. The computer is basic, but again offers the necessary feedback, including wireless heart rate readings which are more accurate than grip pulse. Also check out the Elite Wave Water Rowing Machine for comparison, as it is similarly priced and might be a more appealing option for you.